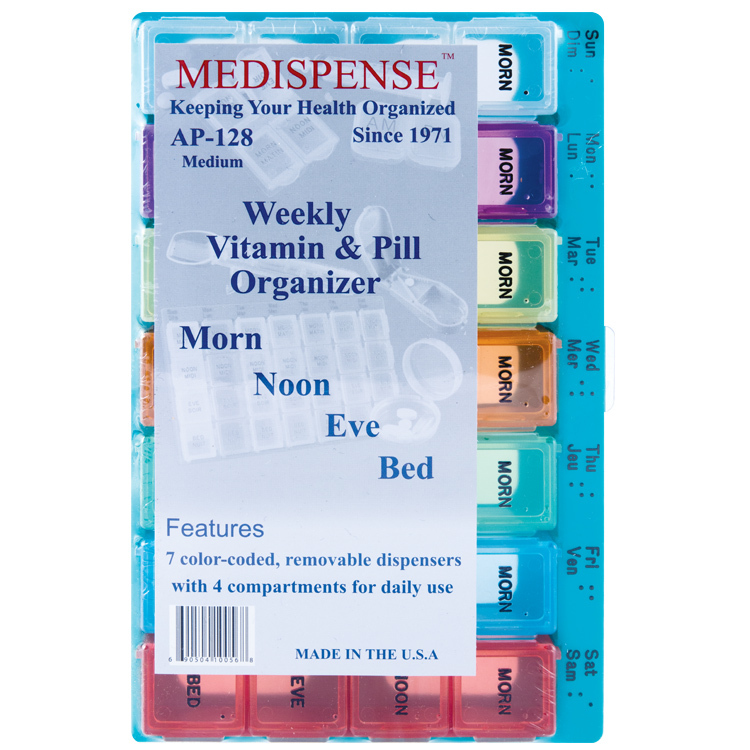 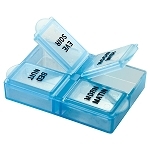 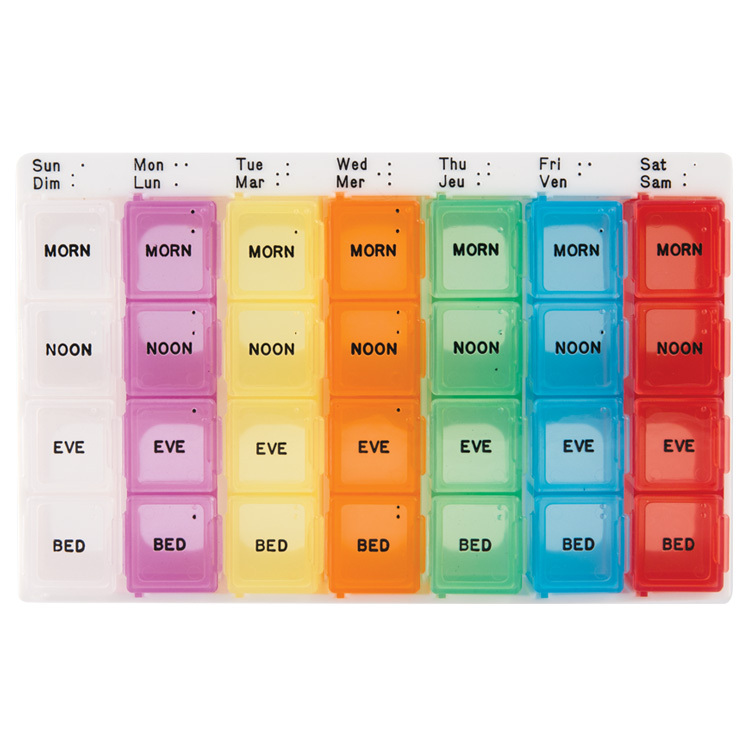 • This pill organizer has 4 compartments labeled Morning, Noon, Evening, and Bedtime in rised, hot stamped letters. • Each compartment features Braille for the visually impaired. 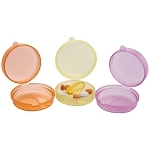 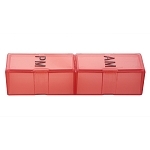 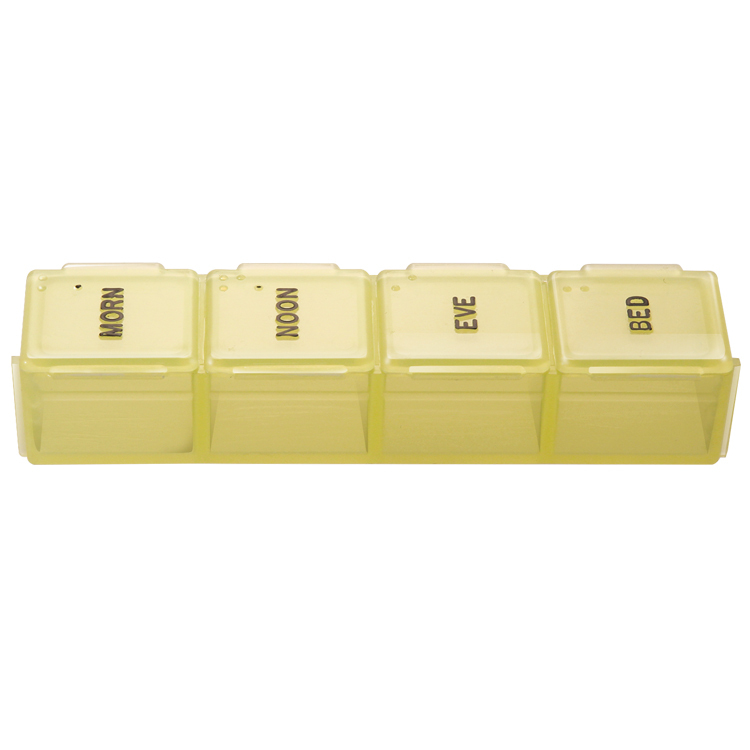 • This pill box comes in both English only and bilingual (French/English), Specify when ordering. 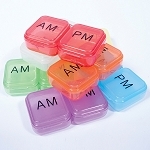 • All 7 available colors are translucent. 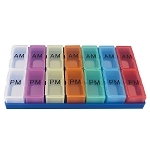 Additional colors available upon request, Contact Us with your request. 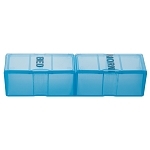 Please contact us for quantities over 500.